International Women in Engineering Day (INWED) takes place annually on 23 June, dedicated to raising the profile and celebrating the achievements of women in engineering. INWED was created by the Women's Engineering Society (WES) in 2014 to celebrate its 95th anniversary. 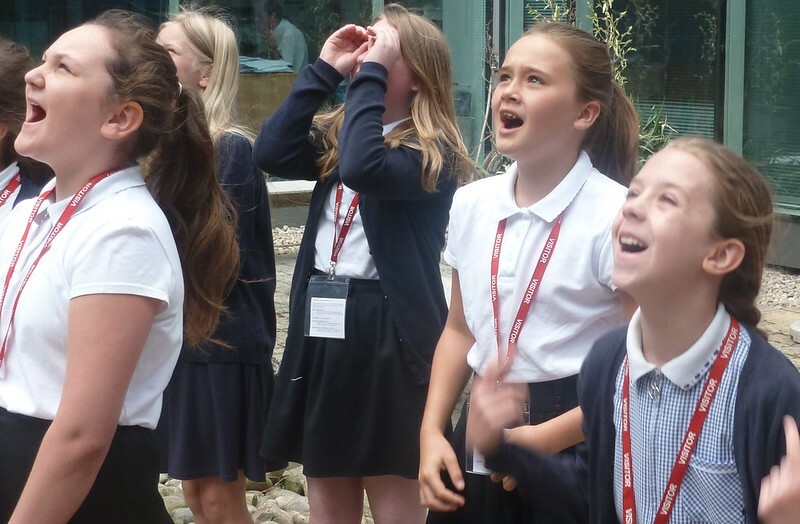 For INWED 2018, Leonardo hosted 'Girls into Engineering' events across the UK to increase girls' confidence in the field of STEM in order to strengthen the future talent pipeline of female engineers. In partnership with educational charity, The Smallpeice Trust, the secondary school female students undertook various engineering-related activities including decoding secret messages, designing and building parachutes and rockets, and testing their creations. The girls were asked to share their perceptions of engineers at the beginning and the end of the day, so that any changes in their ideas about engineering can be explored and discussed informally. With only 9% of the UK's engineering workforce being female, there is a national effort to increase the number of girls studying STEM subjects in secondary school, which in turn may encourage them to pursue STEM careers. INWED aims to encourage all groups Governmental, educational, corporate, Professional Engineering Institutions, individuals and other organisations) to organise their own events in support of the day each year, and link them together to focus attention on the great opportunities for women in engineering. Leonardo is a committed and willing advocate. Hover over the image to click through the gallery.